Dream big in America, and you might launch a successful cosmetics line over social media. Dream bigger, and you can rent out all of Six Flags all for yourself for a whole entire night! 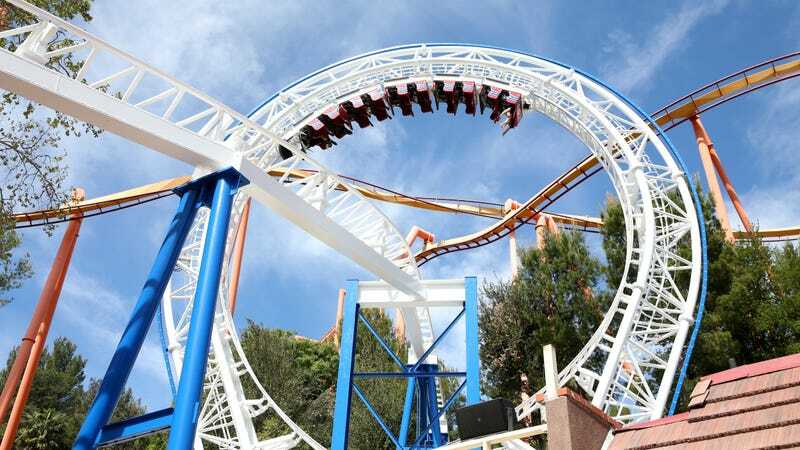 Dream really big, and you can buy Six Flags, lock the gates, and take shelter under a roller coaster and live on a lifetime supply of soft pretzels and slushies while the zombie apocalypse rages outside! Jk, that last one has yet to come true, but on April 28th, 2018, Kylie Jenner bought out the whole park for Travis Scott’s birthday party and brought along friends and family and did all the activities. We’re told that the call involved the usually demure Vanessa comparing her and childless O’Day’s bodies and sexual capabilities in violently graphic terms. Apparently, this is a side of the glossy blonde she occasionally ­unleashes at extreme moments. It’s Page Six, after all. Good luck to Amy Schumer, who has been hospitalized all week with a “horrible” kidney infection. She also approves of Michelle Wolf’s WHCD roast.